With 30 years in the business, has the know-how, equipment and highly trained crew to handle any job right the first time. With years of experience in the industry, our paving specialists are here to assist in designing and quoting your project. Commercial - Residential - Industrial - No Job is Too Big or Too Small. Call Us Today! Asphalt paving is the foundation of the S&S Asphalt Paving Company. 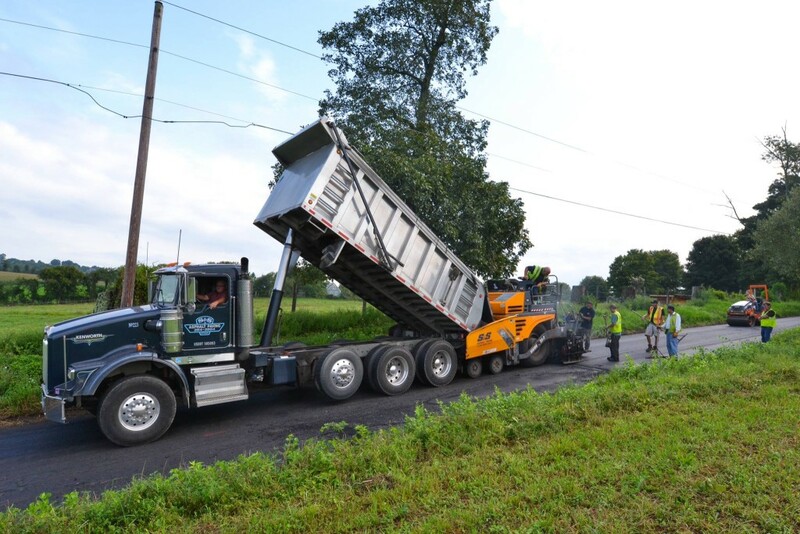 No job is too big or too small — from residential driveways to major road construction projects — S&S Asphalt Paving with over 30 years in the business, has the know-how, equipment and highly trained crew to handle any job right the first time. Owners Don Stitt and Kevin Starchak make it a priority to personally supervise every aspect of the ongoing paving projects. Litchfield, New Haven, Middlesex Counties or anywhere else in Connecticut; Our great reputation is stamped throughout the entire state! Whether you have one small parking lot, or multiple large-scale facilities, we have the state-of-the-art equipment and professional staff to meet your needs. If you are a Connecticut customer with high expectations, S & S Asphalt Paving wants to be your contractor. We are passionate in what we do and are committed to keeping our status as a top paving company in Connecticut. Our goal is to continuously strive for excellence and meet the demands of our customers with superior service. Two things that we truly believe in are honesty and dependability. On time and on schedule are what makes us tick and the honest way is the only way. Ever day that passes we gain experience and satisfied clients. Whether it is our talented and skilled crew or our state of the art equipment we are always looking to improve. Asphalt paving is the foundation of the S&S Asphalt Paving Company. No job is too big or too small — from residential driveways to major road construction projects — S&S Asphalt Paving with 30 years in the business, has the know-how, equipment and highly trained crew to handle any job right the first time. Owners Don Stitt and Kevin Starchak make it a priority to personally supervise every aspect of the ongoing paving projects. With over 30 years in the business, S & S Asphalt Paving has the know-how, equipment and highly trained crew to handle any job right the first time. We are a EOE/AA company.